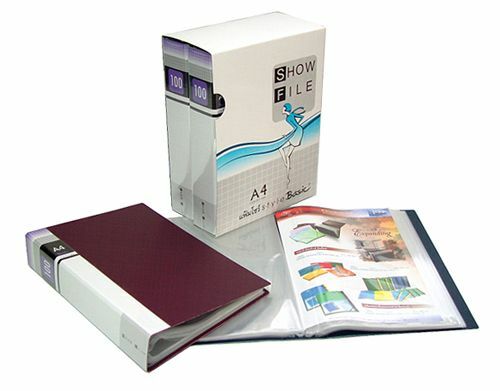 Polypropylene PP display book,the book cover made from durable 1,200 micron polypropylene PP sheet, 100 pieces of 80 micron A4 copy safe polypropylene pockets (each size 40 micron). OST Polypropylene (PP) display book keeps your filing simple , smart and safe. It has 100 pockets allowing 200 page views. Simple to access, it will keep your documents neat and secure. This smart and stylish display book is ideal for students, and everyday home and office use. Product Size (width x length x thick) : 23.2x31.1x5.4 cm.